Is this your most heart wrenching decision? There comes a time in your journey with dementia when you realise that you simply can’t cope at home anymore. Caring for someone with dementia is physically and mentally draining. So eventually you get to a point where you’re simply exhausted. You know you need help but you feel that putting your loved one in a home is somehow letting them down and that they won’t get the care, attention and love that you give them. If this is the way you feel we can help. 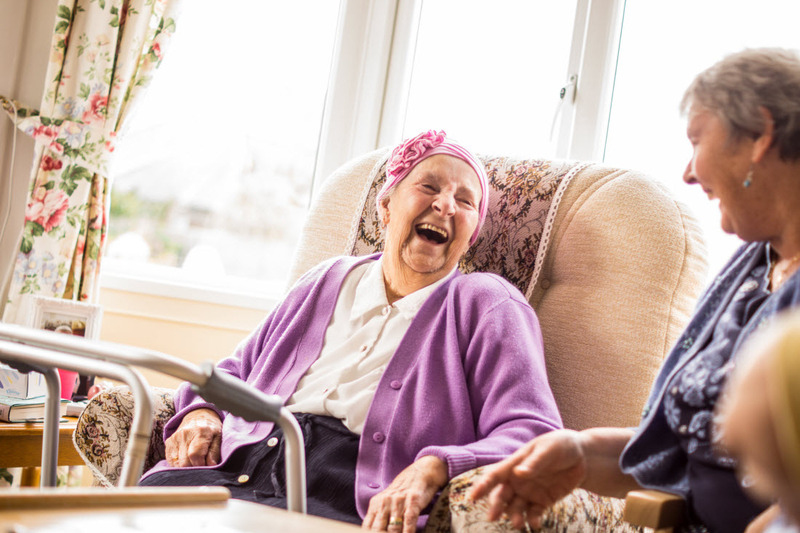 Choosing the right sort of care home for your loved one is a critically important decision, especially for someone who has dementia and may not be able to make their own views clear. We believe at Bridlington Lodge we have created the ideal place for those living with dementia to experience the very best in life. Bridlington Lodge is a dedicated dementia home. We specialize in caring for people who have dementia and this has enabled our staff to build up tremendous practical knowledge of how to provide the very best dementia care. Whatever the type of behaviour, we will have experienced it and know how to deal with it in the best possible way. Exceptional staff training. The scientific understanding of dementia and its treatment is constantly improving with new research. As well as huge practical experience we invest heavily in training our staff in the lasted techniques so that they can increase their understanding of how those living with dementia see and understand their world. This improved understanding enables us to provide more effective care and a better quality of life for your loved one. A homely, family feel. Large, new, corporate ‘Travel Lodge’ style homes with many rooms may look good on first inspection but they come with several major drawbacks, particularly for dementia. Firstly the sheer size of the place means that it’s very difficult for staff to get to know all the residents. Bridlington Lodge’s 20 bed size means that all the staff know our small community of resident very well. They therefore get to understand their individual needs much better which leads to better care. Secondly it’s much more difficult for a large home with many people working there to get consistently excellent staff. At Bridlington Lodge we have a high resident to staff ratio and very loyal staff. These are yet more reasons behind us providing such exceptionally high levels of care. Finally the large corporate style of home tends to be very anonymous. Every room and corridor looks the same and even the communal areas tend to be very nondescript. Bridlington Lodge has been extensively adapted to make it easy for people living with dementia to find their way around and to recognize each room and it’s purpose. This eliminates the agitation and worry that can arise if they become confused and disorientated. We offer Palliative and end of life care with the support of qualified doctors and nurses. We hope you feel from this brief introduction to the home that Bridlington Lodge can offer your loved one a warm, relaxed, safe and secure environment and truly exceptional care. However, the best way to see if Bridlington Lodge Care Home is the right home for your loved one is to come and visit. You can take a tour of the premises and have a chat with our existing residents who'll give you the inside view of what it's like to live at Bridlington Lodge. You're most welcome to visit any time and the kettle is always on so why not pop in and take a look. If you have any questions or would like to arrange an appointment with Theresa, the Home Manager, for a confidential chat about your requirements please call us on 01262 676611 or click here to email us.